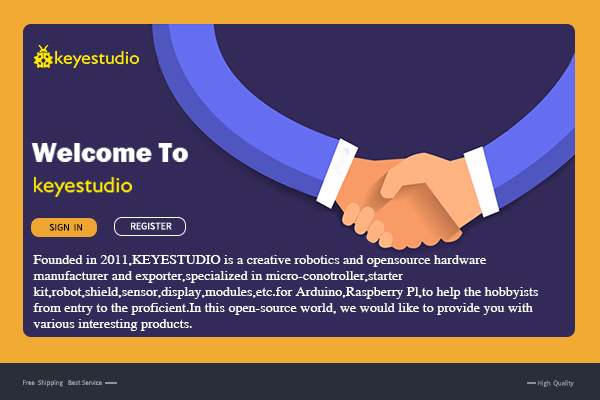 keyestudio small turtle robot is a learning application development system of microcontroller. 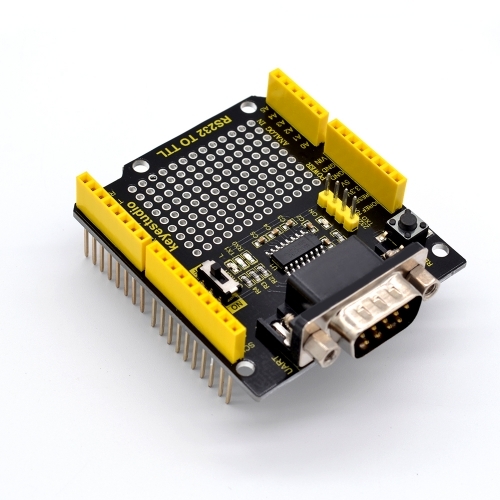 It's based on microcontroller series atmega-328. 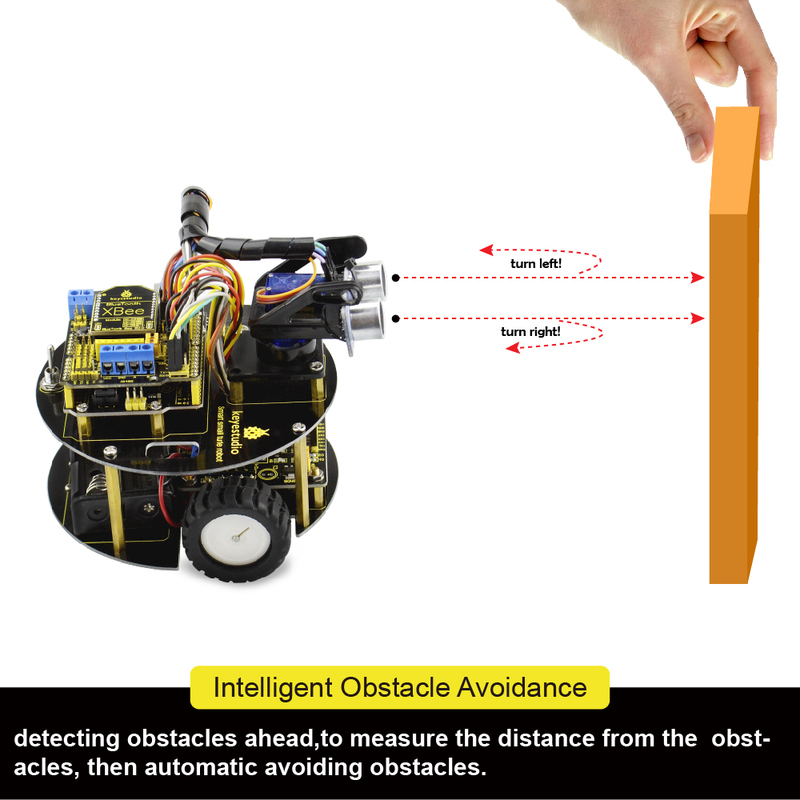 It has functions such as line tracking, obstacle avoidance, infrared remote control and Bluetoot h wireless remote control. 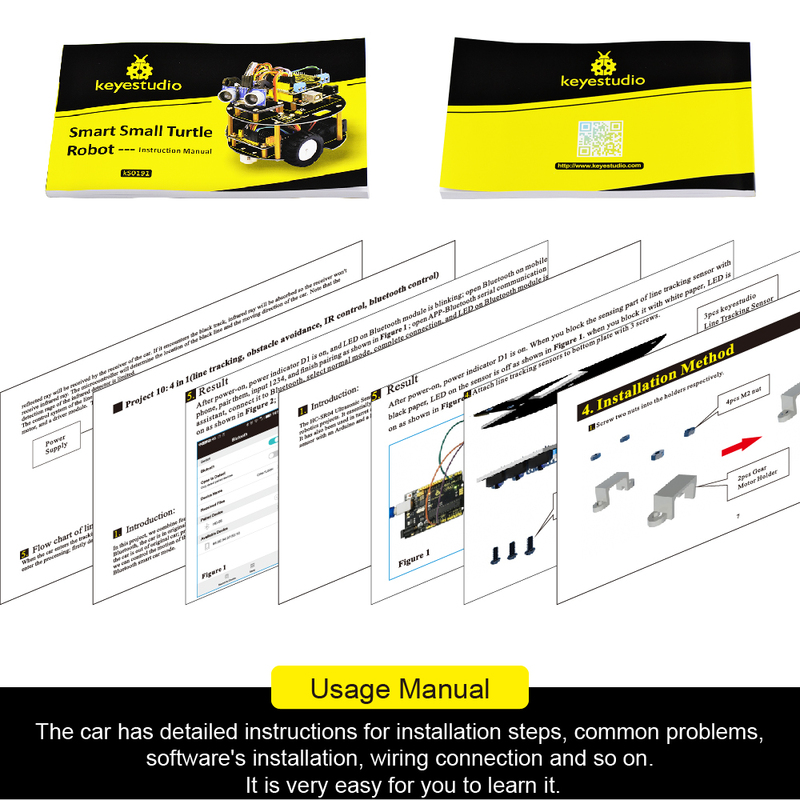 This kit contains many interesting programs. 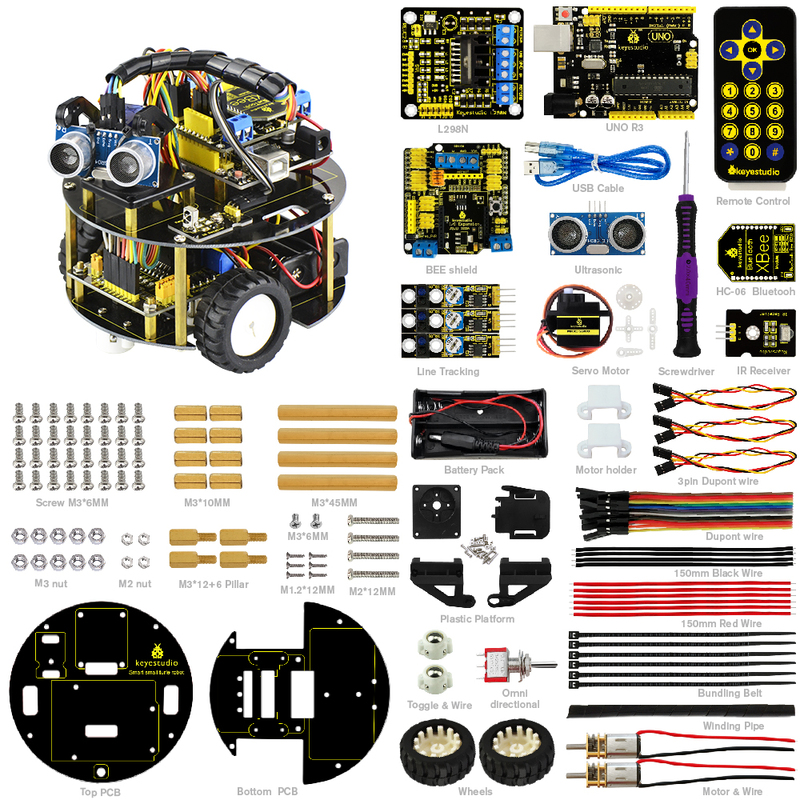 It can also be expanded to have external circuit module to have other functions. 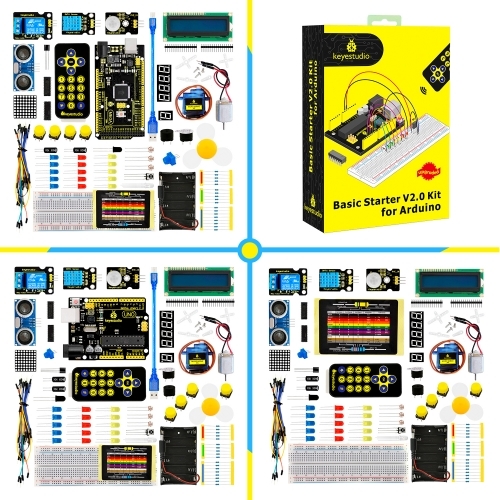 This kit is designed to help you interestingly learn MCU. 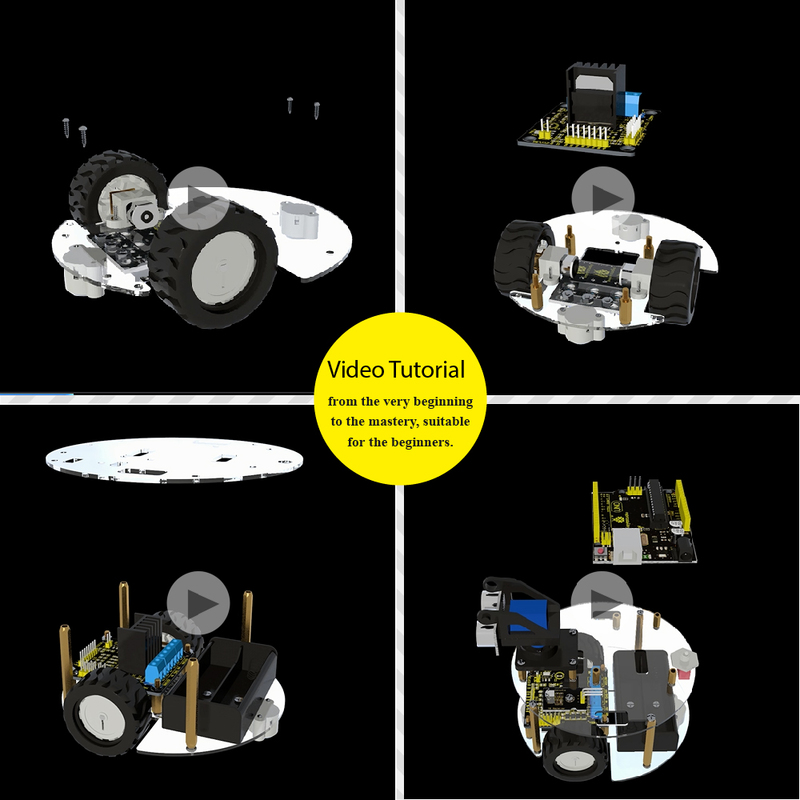 You can learn MCU development ability while having fun. 1. 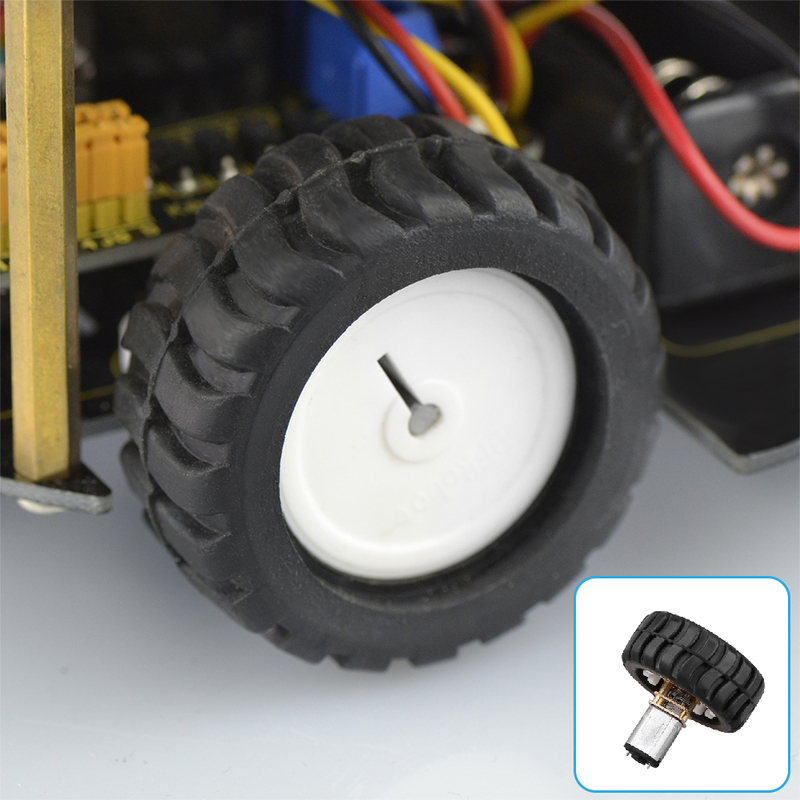 Motor parameters: voltage range: 1.5-12V; motor shaft length: 10 mm; revolving speed: 6.0 V 100 RPM/min. 2. Use L298N driver module for motor control, true separation from microcontroller. 3. 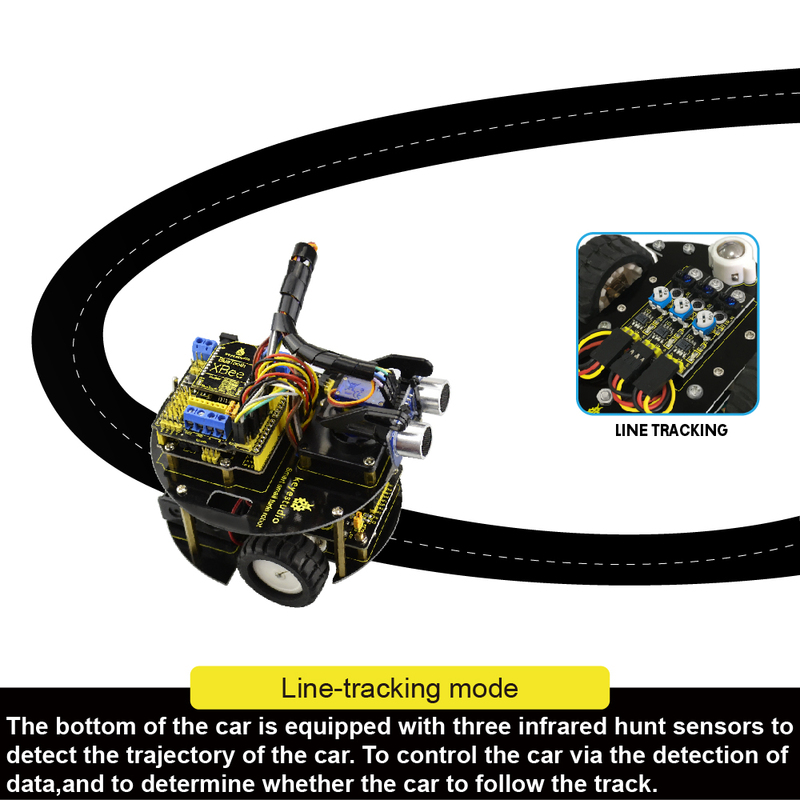 Three line tracking modules, detecting black and white line, high precision, can also be used in fall prevention. 4. 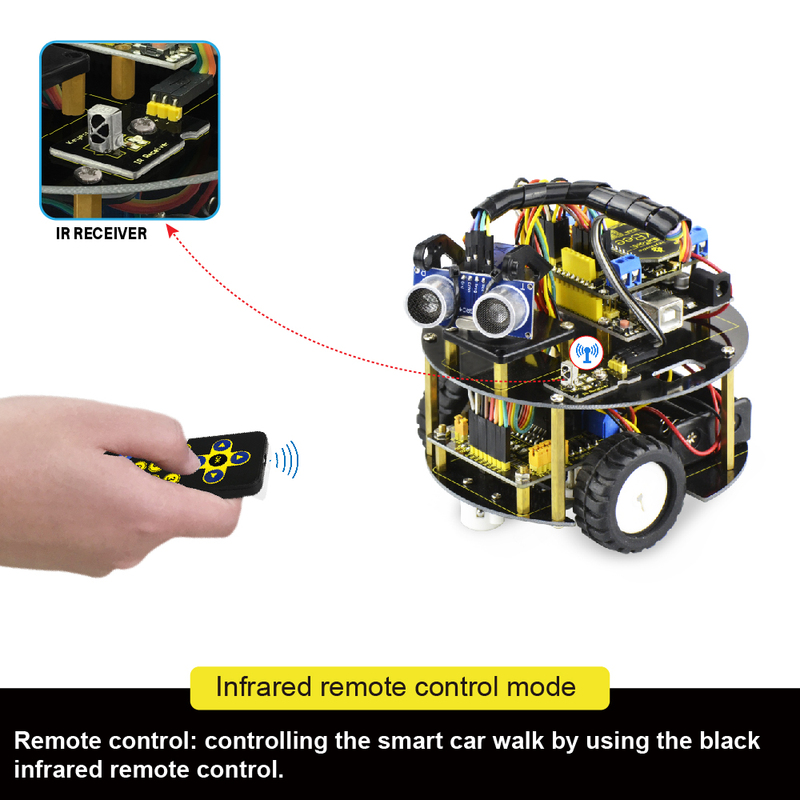 Infrared remote communication module makes up the remote control system. 5. 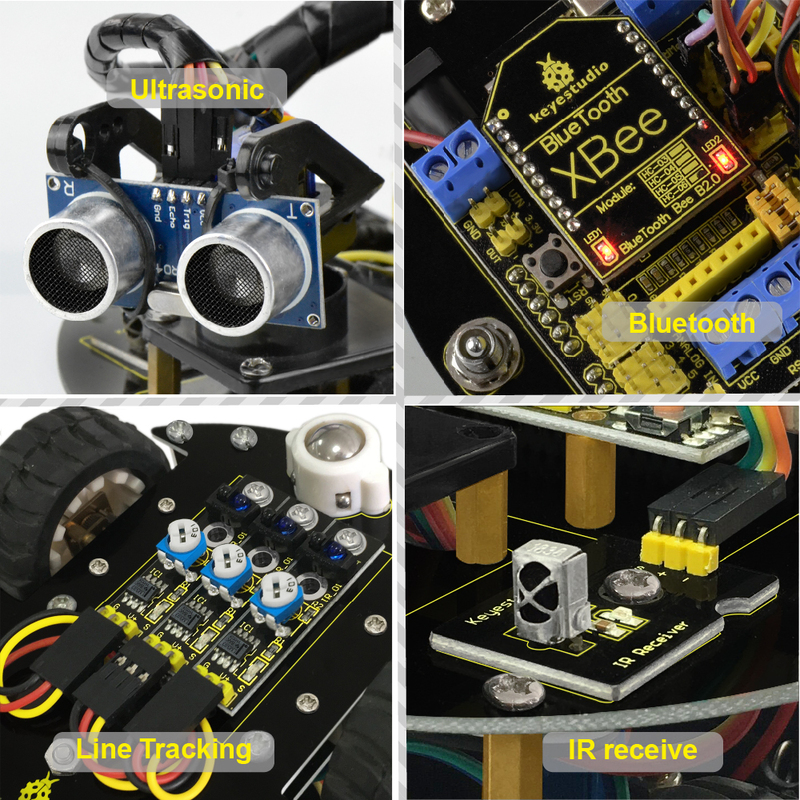 Ultrasonic module makes up the obstacle avoidance system. 6. 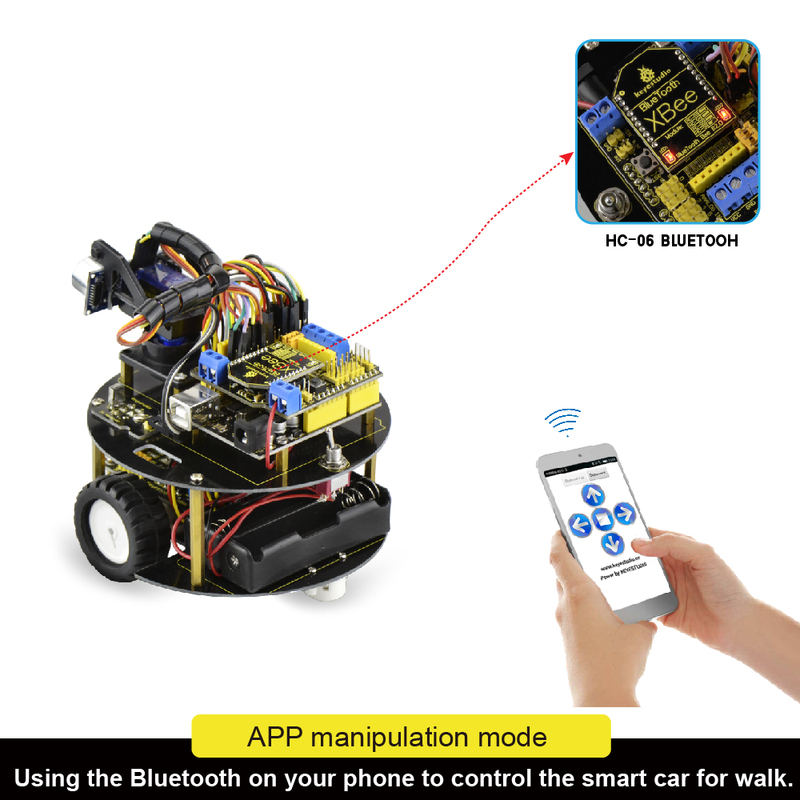 With bluetoot h wireless module, remotely control the robot after bluetoot h pairing with mobile phone. 7. 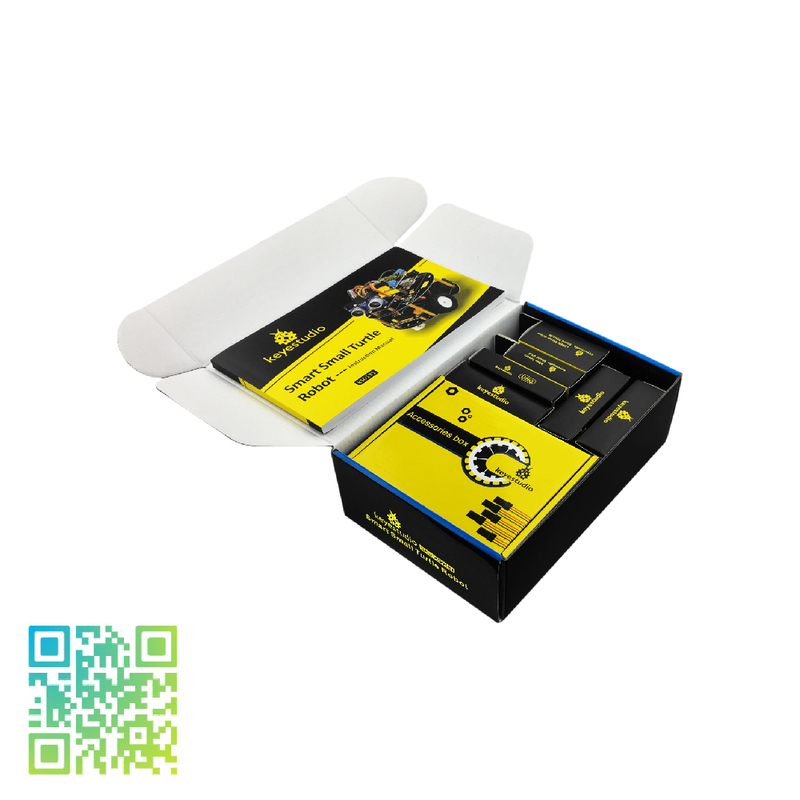 Can be used under external 7 ~ 12V voltage, also with various sensor modules to realize various functions.